I just skimmed your review because I have the entire series, but haven't started it yet. I'm so glad to hear that you enjoyed the book so much despite it being a pretty hefty read. I love it when a series ends with a bang and this one seems to have done exactly that for you! I just can't even make myself read this. I don't know why, but I think I'm on Cassandra Clare burnout. Too much. but I do love her books, so I don't know. I was never sold on this love triangle, for sure. This is my favorite out of the two CC series too, I just love the historical feel in it. I haven't finished Clockwork Prince yet, it's been on hold since last March (Ah, I know. I really need to get on it). I skimmed your review, but I'm so glad that you with happy with the ending since a lot of people complained about it. Awesome review, Siiri! I think this is the end of the series but Cassie is planning on starting a new one with Will and Tessa' kids. That should be fun! This book is huge. That's partially why it's still sitting on my shelf, unread... though that may also be because of having been spoiled about the ending not long after the book's release. And woah!! I actually always liked TID more than TMI because of the characters and setting and despite the love triangle :D. I'm kinda curious now about your Clockwork Angel review o.O. What! Cecily and Gabriel get together?!?!? lol, I hadn't read about that just yet o.O. That must make for some interesting tension and banter. It's funny that you mention the ending for the triangle not being that satisfying. She took somewhat of a risk with that, since I haven't seen many books ever end that way... but (lol) even without having read the book, I feel a little squicky about it. Okay, I skimmed your review Siiri because I've only read the first book in this series. I need to get caught up! I'm glad you loved it so much, I know the epilogue really split readers and left a bad taste in many peoples' mouths, so it makes me happy that you were a fan of this book as a whole. 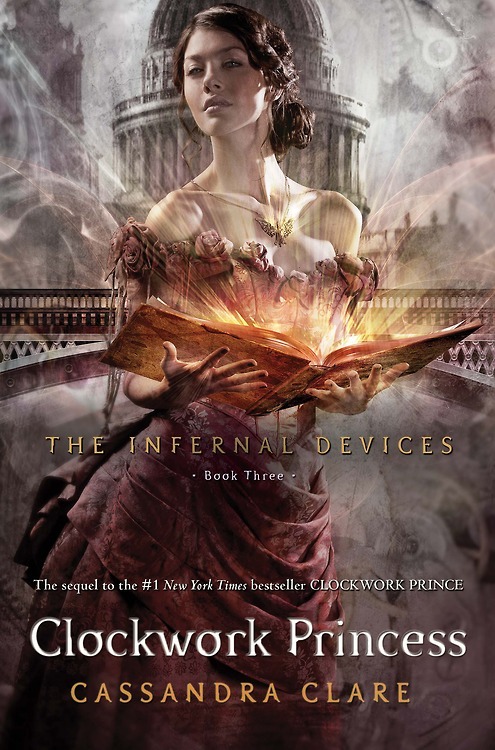 Cassandra Clare is a master at making me have ALL THE FEELS, so I have no doubt she'll continue to do so with this final book! I COMPLETELY agree with you about the epilogue. It was the one true part of the book that I had mixed feelings about. Although I was REALLY happy with the actual ending, the epilogue... it felt like someone was raining on my parade. Other than that, I was totally in love with this book. I definitely appreciated the Lightwoods and Cecily far more here. Fantastic review! This one seems to be a home run with everyone who has read the series. I still haven't read the first one (Have I been living under a rock?!) Happy to see that the series finished on such a high note for you, Siiri! I love reviews where you just have to get out all of your FEELs no matter how long it takes! And I'm pretty sure that all of my reviews are longer than this one :). Anyway, lovely lovely thoughts on a book that I agree is the strongest of CC's novels. You're right though, things seem to work out pretty perfectly for everyone, which is perhaps a bit much, but I'm totally going to go for it. I totally understand your thoughts on the epilogue, I've seen lots of mixed feelings on it. Glad you loved this book as much as you did!